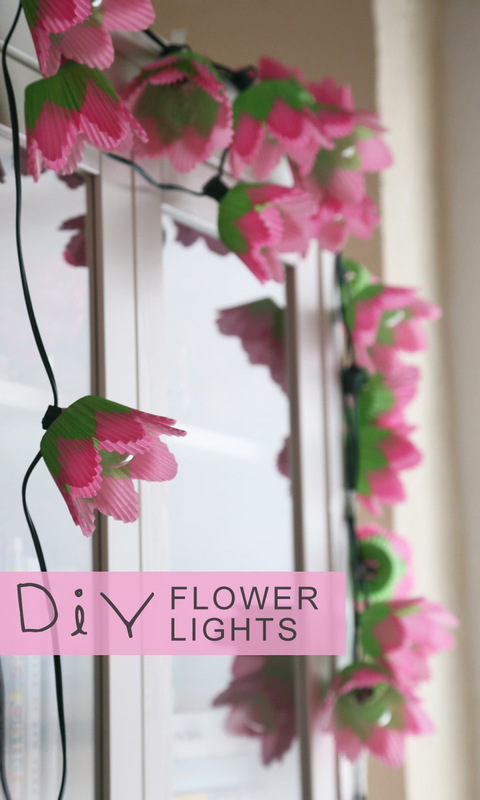 are you looking for an easy way to decorate for a party? then, this DIY is perfect for you. 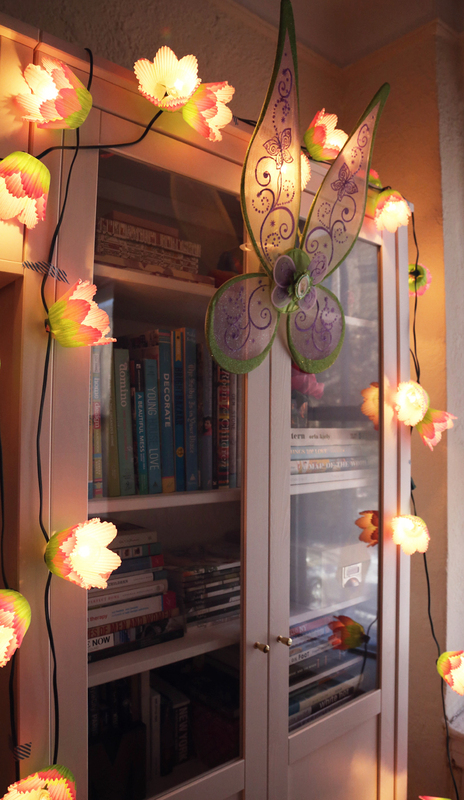 these fairy flower lights are simple to create and make a big impact. 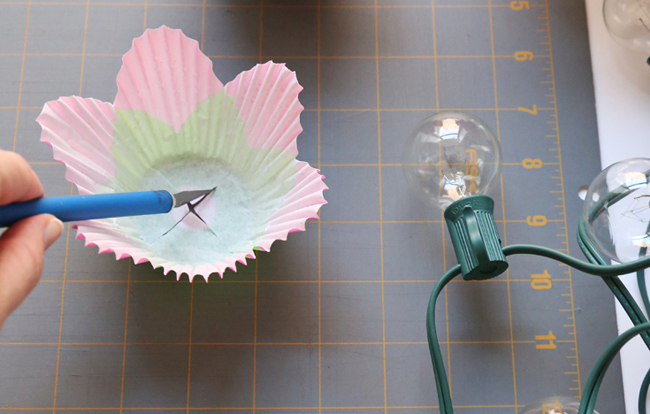 simply cut an X in the base of each cupcake liner and slip two liners over each bulb. be sure to keep the paper from directly contacting the bulb.